I found this New Mexico Milksnake, Lampropeltis triangulum celaenops, crossing a 5 lane highway in the middle of a dust storm, with temps in the low 50’s. Wow! That was the last thing I expected to find … and boy was I happy. My first milksnake, and it’s a good one. This fella came home with me. 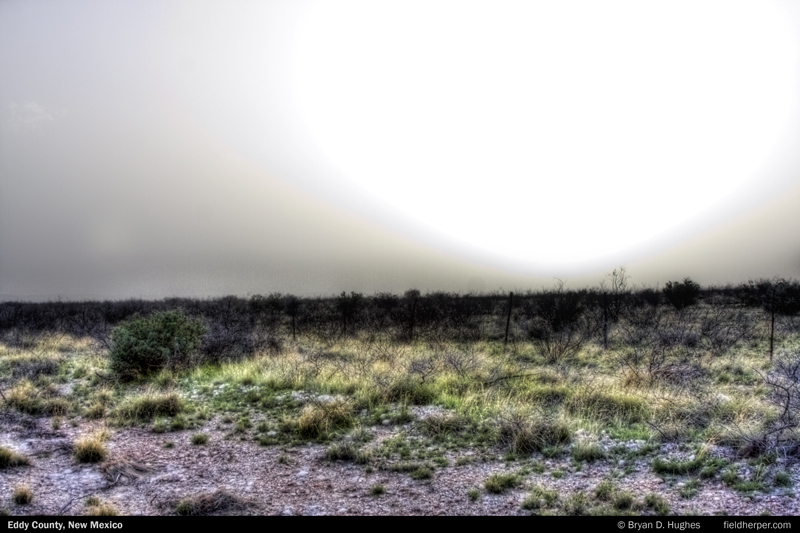 Dust storms: New Mexico does them right. My first night there, winds were over 50 mph and dust stung my eyes … I still found snakes though. This entry was posted on Monday, January 24th, 2011 at 10:00 am	and is filed under Captive & Husbandry, Field Herping, Field Trips, Landscapes, Photography. You can follow any responses to this entry through the RSS 2.0 feed. You can leave a response, or trackback from your own site. What a beauty! We have one of those in captivity where I work – he’s great to use in herpetology classes to discuss warning coloration and mimicry. 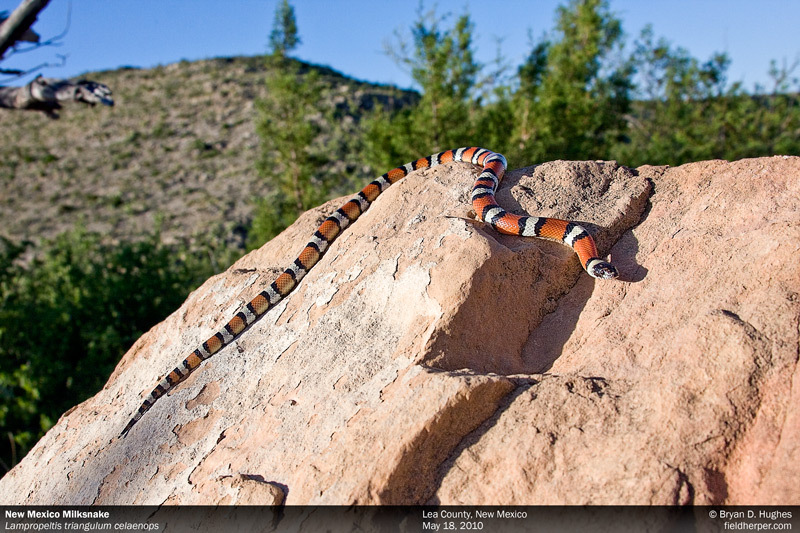 Oh ya, it’s really a good looking snake! Orange on the top and almost a green on the bottom. He’s pretty, but mean as hell, haha.